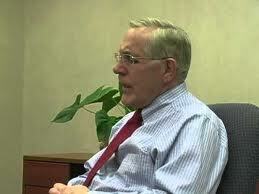 Ontario’s current Minister of Energy Bob Chiarelli is not afraid of issuing directives to his underlings. On October 23, 2014 he directed the OPA to initiate a CDM (conservation and demand management) program to reduce demand by 7 TWh (terawatt hours) between Jan. 1, 2015 and Dec. 31, 2020. The budget to produce those results is $2.4 billion or $400 million annually. Conservation directives date to Donna Cansfield’s time in the Energy Minister’s chair and her February 10, 2006 NB: one; when she told the newly formed OPA “I hereby direct the OPA to assume, effective as of the date of this letter of direction, responsibility for seeking up to 300 MW demand side management and/or demand response initiatives in the Toronto area by 2010. In recognition of Toronto Hydro’s existing and planned conservation initiative funded through to September 2007, it is expected that the OPA will work cooperatively with Toronto Hydro and the community in the Toronto area”. The billions spent and the billions to be spent on conservation programs get dumped into the Global Adjustment pot, added to the cost of electricity, and has been a factor in its continuing rise. The revenue lost through conservation is simply replaced by a rise in the commodity and delivery charges—that is felt by the most vulnerable. A recent story in the Toronto Star related to a Toronto Community Housing complex highlighted the effects of all that spending: “Tenants in a downtown Toronto Community Housing development are struggling to cope after being slapped with unexpectedly high hydro bills this winter. In some cases the bills were hundreds of dollars more than their rent, and several residents say having to make the payments left them without money for other essentials such as food.” Foregone medication was mentioned by others. There was more: “Toronto Hydro spokesperson Tori Gass wouldn’t comment on whether the bills were excessive, but said the agency was expecting an increase in power consumption this winter because of the unusually cold weather.” That comment was the opposite of what Hydro One reported in their first quarter release as they noted transmission revenue was down due to “milder weather in the first quarter of 2015, compared to the same period in 2014”. The two biggest local distribution companies in the province can’t even agree on recent weather events! This is a legacy the Ontario Liberal government should be ashamed of. NB: The directive is dated “2005” at the top but “2006” at the bottom. Brilliant piece. This government Will be known as the government that ruined and bankrupt Ontario.. The current Ontario policies capture the very heart of the environmentalist credo. Use less, live with less, consume less. The most effective way to force this choice upon people, of course, is to raise prices so that people can no longer afford to use as much electricity or other goods as they used to. The reality missed by all this is that people use and consume what they want to because the use contributes to their standard of living. It is what they would want to do if the government did not force them to do otherwise. Forcing us all to use less than we would at competitive market prices represents a huge cost to society in terms of freedom, choice, comfort and quality of life. Of course, the environmentalists could care less about these things. Allegedly, we are “saving the planet”. What incredible nonsense. Hate to say this but it is NOT JUST TORONTO. Toronto elected these heartless ones. More than 25% of my limited income goes to hydro one. I have done all I can to reduce. I am forced to heat with hydro. PUT HYDRO RATES GEARED TO INCOME SO THE POOR DONT FREEZE OR STARVE. Paul, I have lived a consistently conserving lifestyle for more than 30 years and yet, I have a humble but beautiful rural home that has now been ruined by wind turbines which were placed by K2 Wind around my home and my neighbourhood. To add insult to injury my hydro bills henceforth, will continue to increase to pay for this outrageous injustice. I am enraged but disciplined enough to direct my rage toward constant proactivity to defeat this government. The McGuinty/Wynne Liberals will go down in history as the biggest disaster ever for this province. We must right these wrongs somehow and bring justice to the victims of this debacle. I look forward to the day when justice will be served to all complicit players in this travesty. This is yet another ‘breech of trust’. The facts continue to be exposed regarding the IPCC manipulation of computer generated data which the Liberals continue to use to justify their ‘green’ zealotry. Destroying businesses and people’s lives economically is okay with the Liberals because they are ‘saving the planet’. 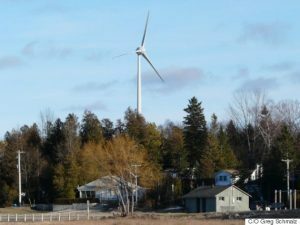 Rural residents becoming collateral damage to their industrial wind experiment is perfectly justifiable because, they remain locked in the belief that we absolutely need industrial wind turbines in Ontario. Making rural Ontario uninhabitable by turning rural Ontario into industrial zones is okay with urban Liberals. If we do not fight this with all of our might, rural Ontario will be ruined and people on fixed incomes lives will be even more difficult. People of conscience cannot rest. If you think this out. The plan way back in the early days of the McGuinty/Wynne Liberals plan was to destroy the value Ontario Hydro then sell it to the chosen few at a fire sale price so they can fill the pockets of the Liberals gang. Its just like the 407 deal. Any value that the people of Ontaro had can be kissed good-bye. We have been played for suckers and cap and trade will follow. They control the JUSTICE SYSTEM and will never be held for the breach of trust. At this time every Ontario Tax payer is on the hook for $20.000 Plus intrest …….. This may be low.